Hello friends! I can’t believe tomorrow will be December 1st. Where has the year gone?? Anyways, the great thing about the months flying by is that I have a new Boxycharm to review! I receive several subscription boxes, but I am by far the most excited to see this at my door each month. Let’s see if this month’s box meets the high expectations it has established. There was a great assortment of products this month; an eyeshadow palette, a lipstick, setting spray, lip masks, and a travel brush kit. I am always amazed by how much they are able to fit into this small box. If you aren’t familiar with Boxycharm, it is a monthly subscription that sends out 5-6 full sized beauty products each month. It costs $21, but it’s overall value is so much more. This month’s box was worth $120! I was really excited to see that they included a Kitten Palette from Winky Lux! It contains 9 shadows, and retails for $25. It’s amazing that this box includes full sized shadow palettes. I have played around with this palette a lot over the last couple weeks, and I even wrote a full-length review. Click here to check it out! I think this is a good palette, but I had a couple issues with it. 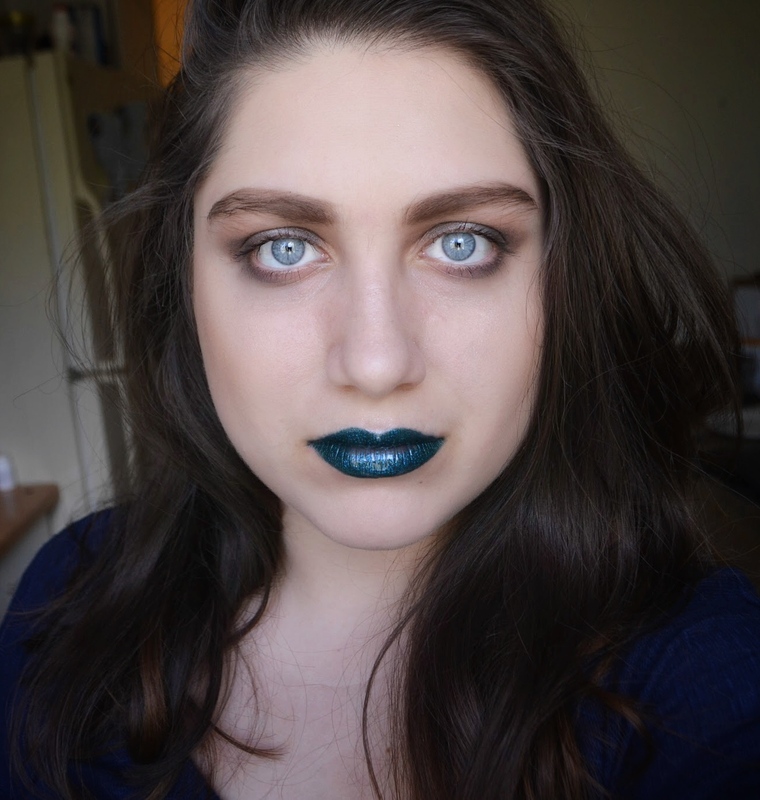 “Cheshire” and “Boots” are patchy and not very pigmented, and “9 Lives” changes from blue to a muddy grey when I try to blend it. Plus, the shade “Holographic” is NOT actually holographic; rather, it is duochrome. However, I have enjoyed playing with this palette, and the shades are easy to build up and blend. I am especially obsessed with the shade Cateye, which is a crazy pigmented bronze. I also received Cover FX Illuminating Setting Spray, which retails for $31. I love the packaging of this! It is sleek and sturdy, and the bottle itself is luminescent. I typically use a matte setting spray, but I ended up liking this a lot. It is not shimmery at all, but it adds a subtle glow to your look. I’ve actually been using this more often than my go-to Wet ‘N Wild Photo Focus Matte Setting Spray. I was super excited to see that I would be receiving Cloud Lips lipstick from Laqa & Co., because I received one in my Glossybox earlier in the month and loved it! This time, I was sent the shade Sunshower, which is a bold red. I am in love with Cloud Lips. Their formula is so creamy, and glides on like a dream. Here is what it looks like on the lips. They are so soft on the lips, and have a satin finish. This lipstick retails for $17, and is worth every penny. I also received 3 lip masks from KNC Beauty, and all together they are worth $15. They are jelly masks that contain collagen and other ingredients that are supposed to plump up your lips. These look so silly! I had a lot of fun trying these on. I will say, these are sort of awkward to use. I ended up having to lay down while using them, because otherwise they would just flop off my face. My lips felt super soft after using them, but I didn’t see any noticeable difference in size. This was supposed to moisturize and plump my lips, but it only moisturized them. The last thing I received in November’s Boxycharm was a Quad Eye Travel Set from Luxie Beauty, which retails for $32. These are very skinny, petite, pink brushes that are quite adorable. They sent me a blending brush, a shading brush, an angled shading brush, and a flat definer brush. I will say that because of how small these are, they are more difficult to use than full sized brushes. I typically hold blending brushes near the end, so that way their touch is feather-light. However, I had to grip these differently from a regular brush. I still managed to blend out my look (mostly), but it took me about 2 minutes longer than it would have with regular brushes. Honestly, full sized brushes don’t take up that much space in a bag; I would rather just bring those instead of a mini travel quad. I used each of the makeup products from November’s box in today’s makeup look! I love how the Cover FX gives me a subtle glow. I liked this box, but it was probably my least favorite Boxycharm out of the last four months. This is mainly because I didn’t care for the eyeshadow brushes or the lip masks. However, I am obsessed with the lipstick and the setting spray, and I’ve been using the Kitten Palette almost every day! I will give this month’s box a 4/5. If you want to check out Boxycharm for yourself, click here. I hope you found my review useful! Have you ever received a box from Boxycharm?